Garfield was one of my favorite comic strips growing up. I always appreciated and related to his sarcasm and love of lasagna. 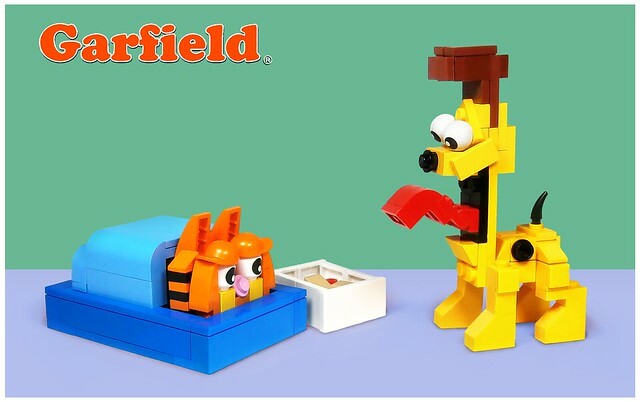 Builder LegoJalex has done him and his arch enemy/best friend Odie justice. From the looks of it I'm guessing this pic was taken on a Monday. "R2-D2, Where Have You Been?"